Published in Encyclopaedia Malaysiana, Volume 12, Peoples and Traditions, pp. 20-21. The Orang Asli, as the name denotes, are the Original or First Peoples of the Malay Peninsula whose ancestors inhabited the Malay Peninsula before the establishment of the Malay sultanates. They did not see themselves as a homogenous group as, for the most part, the early Orang Asli lived in remote communities, each within a specific geographical space such as a river valley. They instead identified themselves by their specific ecological niche, which they called their customary or traditional land, and with which they developed a close affinity. Much of the basis of their culture and spirituality was derived from this close association with the particular environment that they regarded as theirs. This is not to suggest that early Orang Asli societies developed in isolation. On the contrary, far from remaining static they have had to continually change and adapt themselves, and their social organisation, in order to deal with their neighbours and others. Around the first millennium AD, for example, the Orang Asli living in the interior traded forest products such as resins, incense woods, rhinoceros horns, feathers, and even gold with merchants from India, China and the Mon civilizations in Southern Thailand, in exchange for salt, cloth and iron tools. Some of the Orang Asli groups, especially in what is today Melaka, Negeri Sembilan, Johor and Perak, also played dominant roles in the establishment of the early Malay political systems. However, the rise of the Malay sultanates coincided with a trade in Orang Asli slaves that prompted many Orang Asli groups to retreat further inland to avoid contact with outsiders. By this time the Orang Asli were being referred to by anthropologists and administrators by a variety of terms. Some were descriptive of their abode (as in Orang Hulu � people of the headwaters, Orang Darat � people of the hinterland, and Orang Laut � people who live by the sea). Others were descriptive of their perceived characteristics (as in Besisi � people with scales, and Mantra � people who chanted). Still others were clearly derogatory and reflected the as�sumed superiority of the �civilised� speakers (Orang Liar � wild people, Pangan � eaters of raw food, Orang Mawas � ape-like people, and Orang Jinak � tame or enslaved people). Towards the end of the (British) colonial administration, however, there were amateurish attempts to categorise the various Orang Asli groups into a homogenous one. Thus those in the south were frequently referred to as �Jakuns�, while those in the north were called �Sakai�, and at times these terms were used interchangeably. 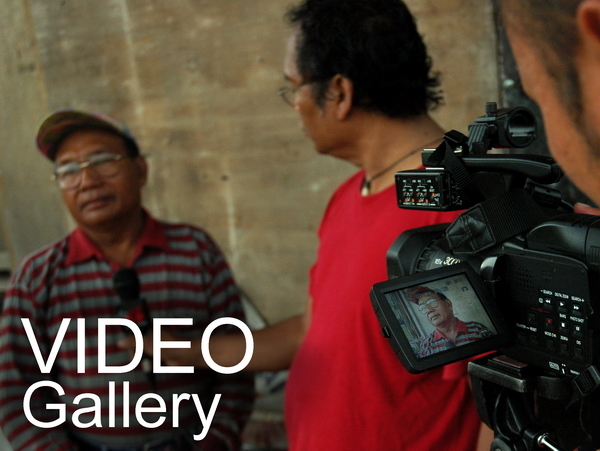 With time, the term �Sakai� � despised by the Orang Asli even today for its derogation and its allusion to backwardness and primitivism � came to be used as a generic term for all the Orang Asli groups. The English equivalent � aborigines � was also used interchangeably to refer to the various Orang Asli groups. Ironically, it was the Emergency of 1948�1960 that made the colonial government realise that a more correct and positive term was necessary if they were to win the hearts and minds of the Orang Asli (and so win the war with against the communist insurgents). Realising that the insurgents were able to get the sympathy and support of the indige�nous inhabitants in the forest, partly by referring to them as �Orang Asal� (original people, from the Arabic Asali), the colonial government in turn adopted the next closest term, �Orang Asli� (literally �natural people�, but now taken to mean �original people� as well). It also became official policy that the Malay term be used even in the English language. However, this administrative fiat in itself was not enough to forge a common identity among the Orang Asli sub-groups, and as such did they not immediately accept the term or identified with it. With the benefit of enlightened anthropological research and better ethnographic insight, at least 19 different Orang Asli sub-groups came to be identified. These were distinguished into 3 broad categories � Negritos, Senoi and Aboriginal Malays � based of physical characteristics, linguistic affinities and cultural practices [see table] Today, their total population stands around 148,000. The Negritos, or as some anthropologists would prefer to use the term �Semang�, comprising a little over 3 per cent of the Orang Asli population, is the smallest of these three categories. They are also the oldest, and are believed to have been in the Malay Peninsula for at least 25,000 years although current archaeological evidence seems to link the Negritos to the Hoabinhians who lived between 8,000 BC and 1,000 BC during the Middle Stone Age. The present-day Negritos are the direct descendants of these early Hoabinhians, who were largely nomadic foragers, living in one location as long as the food supply was able to maintain the community. Today, however, many of the Negrito groups live in permanent settlements in Northeast Kedah (the Kensiu people), along the Kedah-Perak border (Kintak), Northeast Perak and West Kelantan (Jahai), North-central Perak (Lanoh), Southeast Kelantan (Mendriq), and Northeast Pahang and Southern Kelantan (Batek). Customarily, some groups enter the forest for varying lengths of time such as during the fruit season to practise opportunistic foraging, or to extract forest products (such as rattan and gaharu) to be exchanged for cash. Such activities have often caused them to be labeled as nomadic and to be considered the more economically backward of the Orang Asli sub-groups. As the name suggests, the Negritos (�little Negroes�) are generally physically small in stature (1.5 metres or less), dark-skinned (varying from a dark copper to black), typically woolly or frizzy hair, and with broad noses, round eyes and low cheek-bones. Their languages are in the Northern Aslian division of the Aslian family of Mon-Khmer languages. 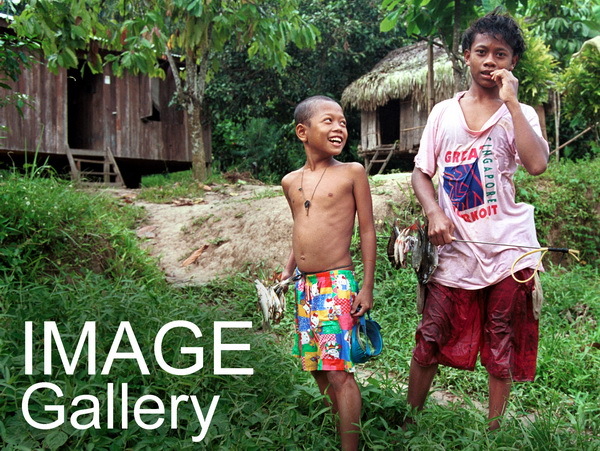 The Senoi are the largest group of Orang Asli with about 54 per cent of the Orang Asli population. They are a Mongoloid people who are descendants of both the Hoabinhians and the Neolithic cultivators who entered the Malay Peninsula around 2,000BC from the north. They are physically different from the Negrito in that they are slightly taller; their skin is of a much lighter colour and their hair wavy rather than frizzy. They continue to speak Austro-Asiatic languages of the Mon-Khmer sub-group, thereby manifesting their ancient connection with mainland Southeast Asia. Today, the Senoi sub-groups live mainly on both slopes of the Main Range in Perak, Kelantan and Pahang (Semai, Temiar), in Central Pahang (Jah Hut, Chewong), Coastal Selangor (Mah Meri) and South-central Pahang (Semoq Beri). While they were mainly swiddeners and dependent on the forest for their subsistence in the past, today many of the Senoi have taken to permanent agriculture (managing their own rubber, oil palm or cocoa farms) and participate in the wage sector (in unskilled, skilled and even professional capacities). At about 43 per cent of the Orang Asli population, the Aboriginal Malays, are the second largest group of Orang Asli. They live mainly in the southern half of the Peninsula � in Selangor and Negri Sembilan (Temuan), Central Pahang and East Negri Sembilan (Semelai), South Pahang and North Johor (Jakun), East Johor (Orang Kanaq) and West and Central Coasts of Johor (Orang Kuala, Orang Seletar). While prehistoric recordings in the south are almost non-existent, it is generally accepted that between 2,000 and 3,000 years ago, the southerly groups encountered the sea-faring peoples from Borneo and the Indonesian islands. Some of these Orang Asli who traded with Austronesian-speakers assimilated with them, hence the term Proto- (or Early-) Malays often used to refer to them. Today, the Aboriginal Malays are very settled peoples, engaged mainly in permanent agriculture or in riverine and coastal fishing. Many of them are also in the wage market as well as in entrepreneurial and professional occupations. Physically, they are very close to the Malays while their languages remain as archaic variants of the Malay language (with the exception of the Semelai and Temoq languages that have links to the Senoic languages). As such, Orang Asli homogeneity was initially a creation of non-Orang Asli perceptions and ideological impositions rather than being something that was determined by the Orang Asli themselves. Nevertheless, with increased contact with the dominant population, it became clear to the various Orang Asli groups that they had more in common with one another than they did with the dominant population. This was especially so since much of this latter contact was not amiable or beneficial to them. The social stress that they experienced as a result of these relations caused these dispersed and unrelated groups to develop a common identity � ironically, under the now widely-accepted label, �Orang Asli�. 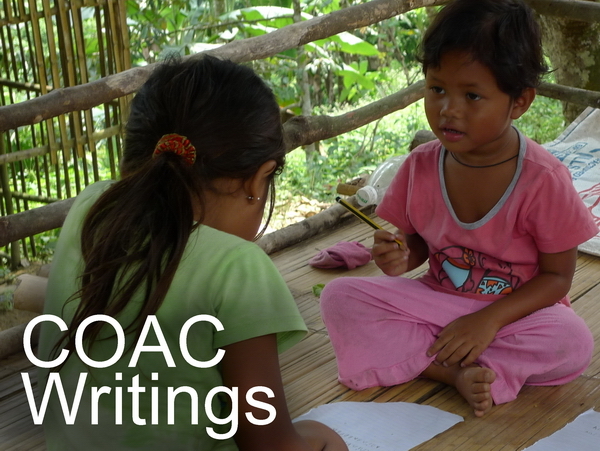 Legally, however, an Orang Asli is defined in the Aboriginal Peoples Act (No. 134, 1954/1974) as a member of an aboriginal ethnic group (either by blood descent or by adoption), who speaks an aboriginal language and who habitually follows an aboriginal custom and belief. Such a definition, if strictly conformed to, can pose problems for today�s Orang Asli. This is especially so when the goal of the government is to assimilate � or if this is not possible, then to at least integrate � the Orang Asli with the mainstream (Malay) society. 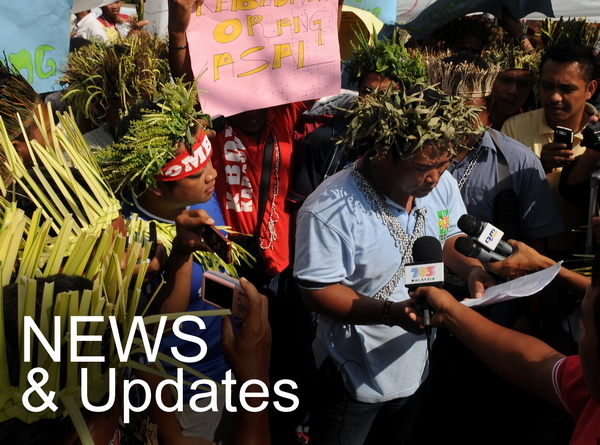 Equally so, given that the foundation of the Orang Asli�s culture and spirituality lies in their continued ownership and control of their traditional homelands, the destruction or loss of these ecological niches immediately affects the integrity and survival of the Orang Asli as a people. Perhaps, it was with this foresight in mind that the authors of the Malaysian Constitution did not expressly accord the Orang Asli the special status enjoyed by the other Bumiputera communities viz. the Malays and the Natives of Sabah and Sarawak. Again, it seems, others are deciding how the Orang Asli are to be categorized and identified.